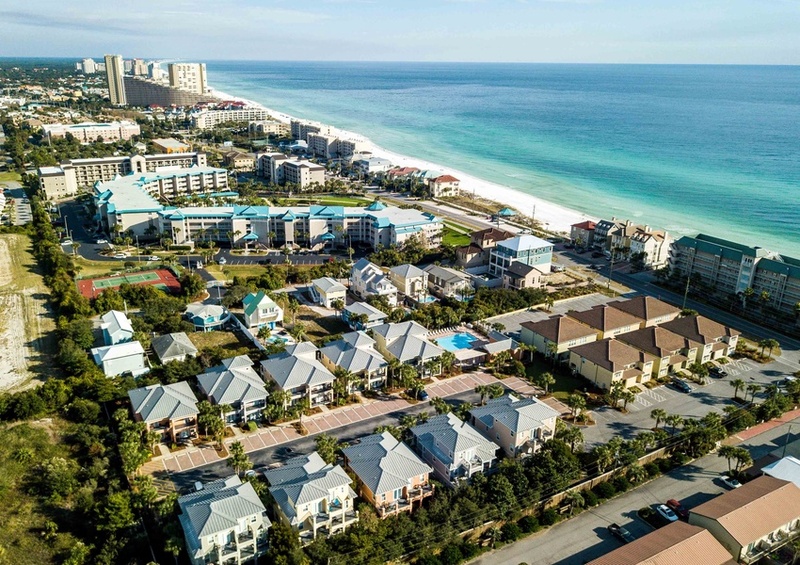 A Playa Amore is a luxurious townhome located just across the street from the sparkling turquoise waters of the Gulf of Mexico. 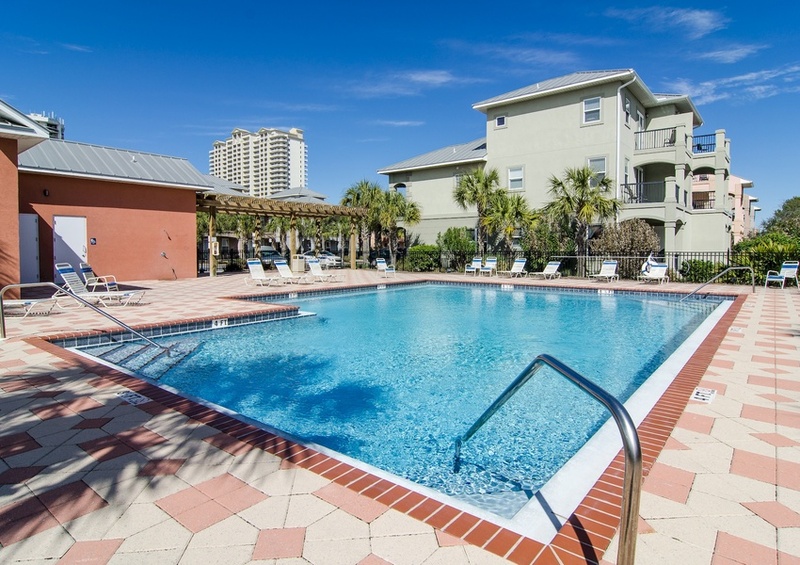 This four bedroom Destin, Florida vacation rental offers partial views of the water from the first and second floors. As you enter A Playa Amore 932A at Miramar Beach Villas, you will notice the gorgeous white marble floors and spa blue walls creating a calming beach atmosphere. The living room has a luxurious coastal feel with ample seating and a 70 inch flat-screen TV. 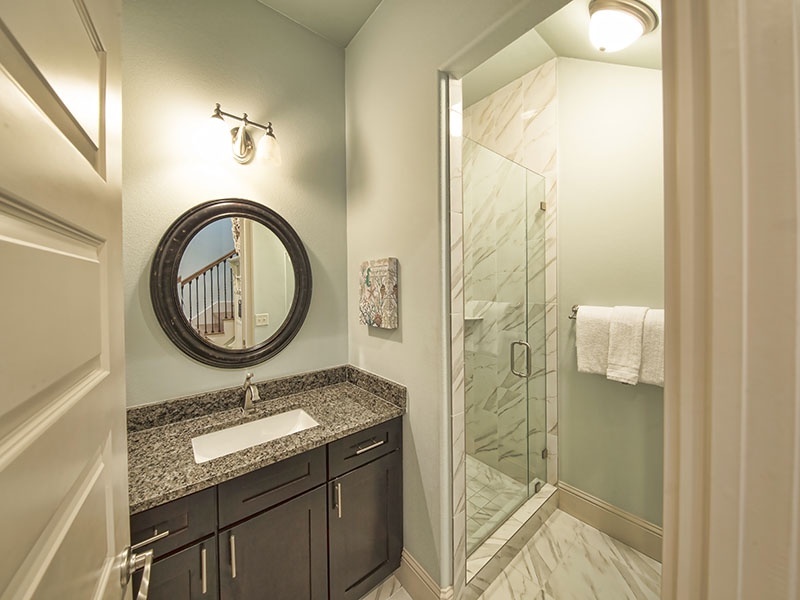 In your upscale kitchen, you will find stunning granite countertops and high-end stainless steel appliances. The dining area is a great place to entertain during your stay in Destin. 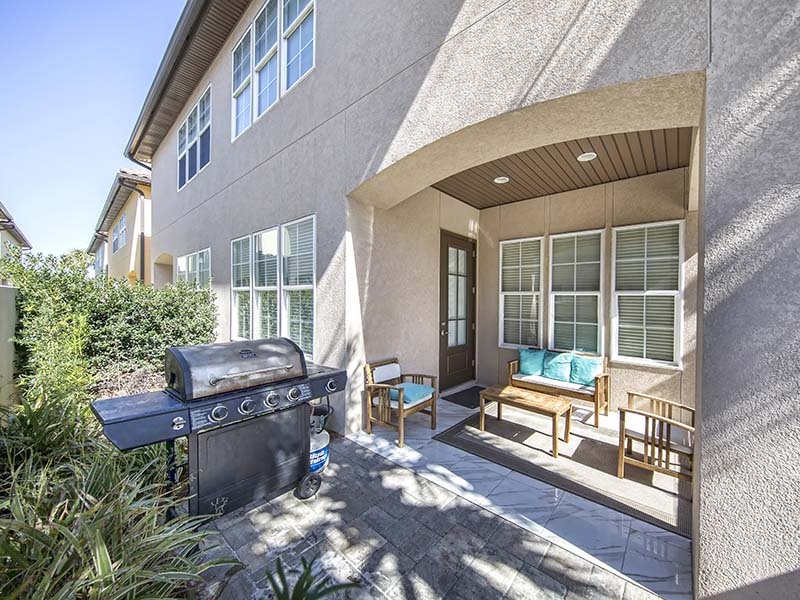 You can create a tasty meal in your kitchen or grill up a savory meal on the terrace, directly off of the dining area. Also on the first floor is a bedroom with a flat-screen TV and a Blu-Ray DVD player. 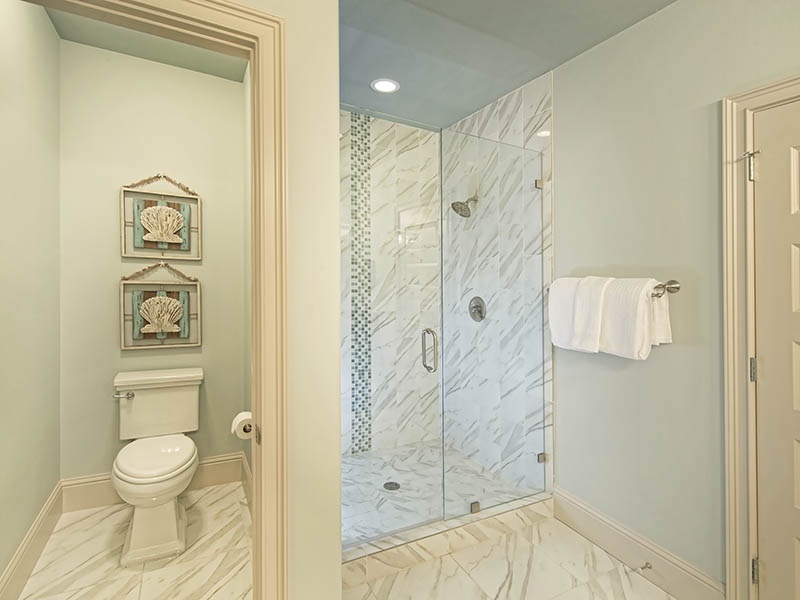 A full bathroom can be found just across the hall. The second floor of Playa Amore contains the master bedroom, featuring a walk-in closet, an ensuite bathroom with a double vanity sink, and a marble walk-in shower. 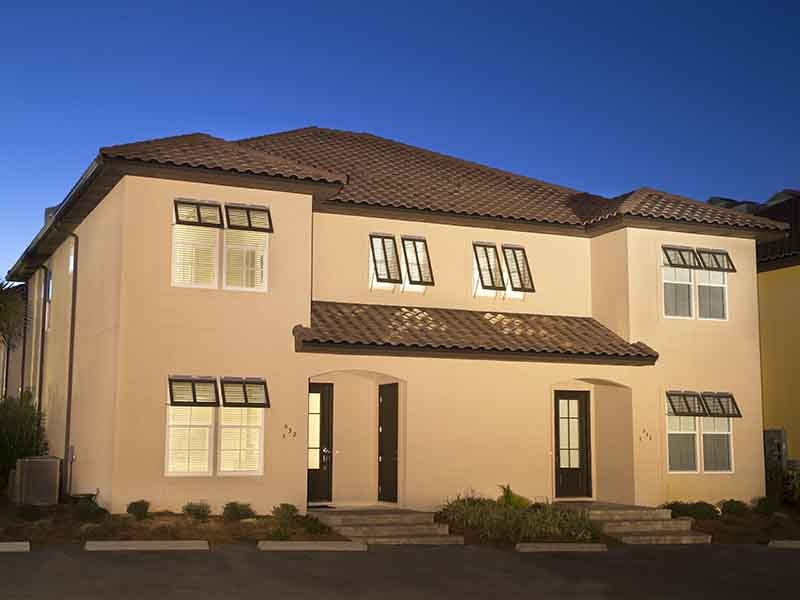 This two-story townhome will accommodate up to 11 people with great ease. 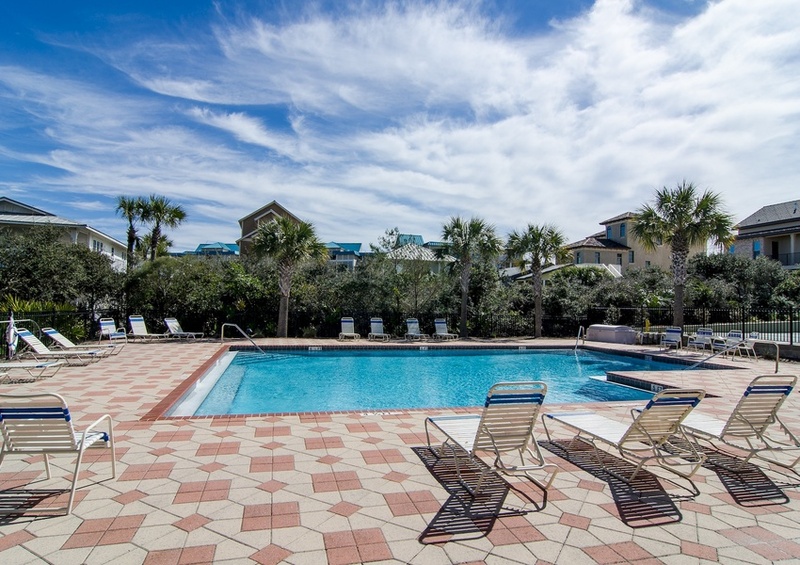 During your stay in A Playa Amore at Miramar Beach Villas, you will have access to a large community pool, just a few short steps away from your vacation rental. 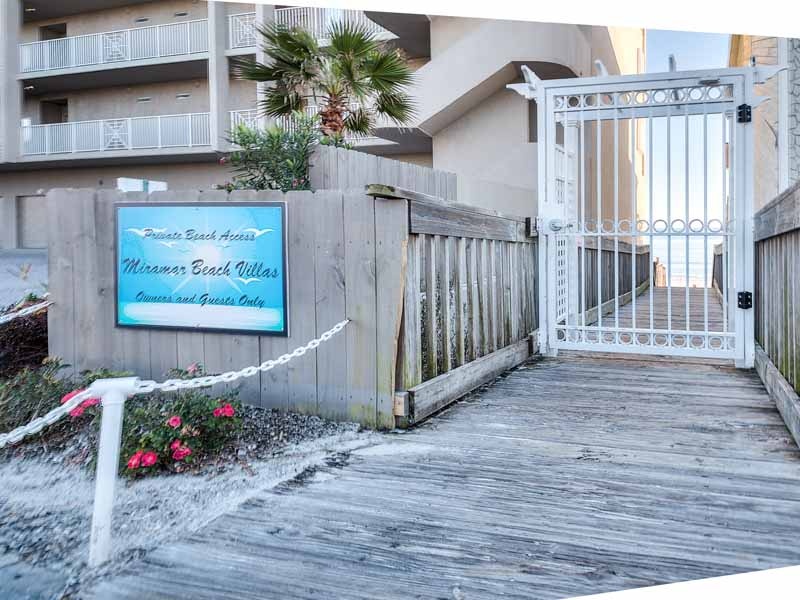 You can also enjoy your private beach access across the street. 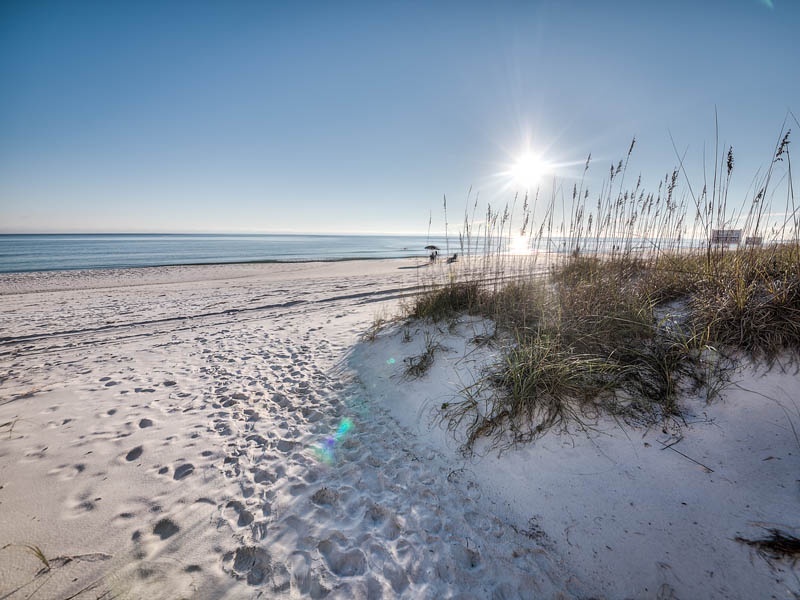 Spend your days in the sand or shopping at nearby shopping complexes in Destin, Florida. Be sure to contact our Southern Perks partners for discounts on dining, water activities, local attractions and more along the Gulf Coast.